How can I find out about clinical trials for my prostate cancer that is not responding to hormones anymore? There are many clinical trials being conducted for patients with hormone refractory prostate cancer. OncoLink has a service, powered by EmergingMed, which can narrow your search for trials based on your particular case. Visit the clinical trials section of OncoLink or call 1-800-474-9892 for assistance. 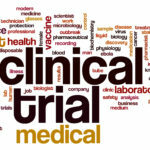 The National Cancer Institute also offers clinical trials listing via their website, www.cancer.gov.